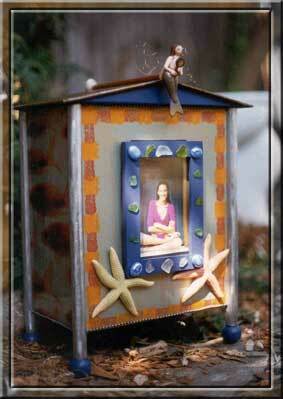 The decorated mermaid urn is one of a kind. Similar styles are available with personalized decorations. This particular urn is decorated with a whimsical ocean/beach motif.